I’ve had the pleasure of experimenting lately with my first DSLR camera and its been a ton of fun. Slowly learning how to use it and researching all the tips and tricks for great picture taking. While searching for camera accessories I came across some amazing camera straps! Some are leather, others made from colorful and vibrant fabrics….wayyy better than the stock brand strap that screams “tourist”. Although these amazing camera accessories are very well made and worth every penny, the cost was simply not in my budget….no way I was going to justify a $100 strap for my brand spankin new camera. After some insomniatic obsession (that’s a term right?) 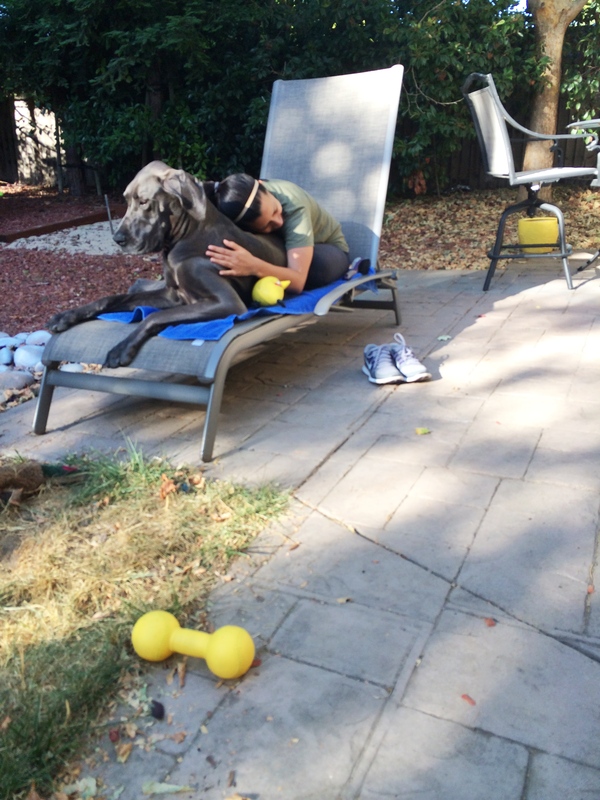 over the elusive camera strap…. I mustered up the courage to attempt to make my own! After all, if I use what I have on hand it wont matter if I mess it up! 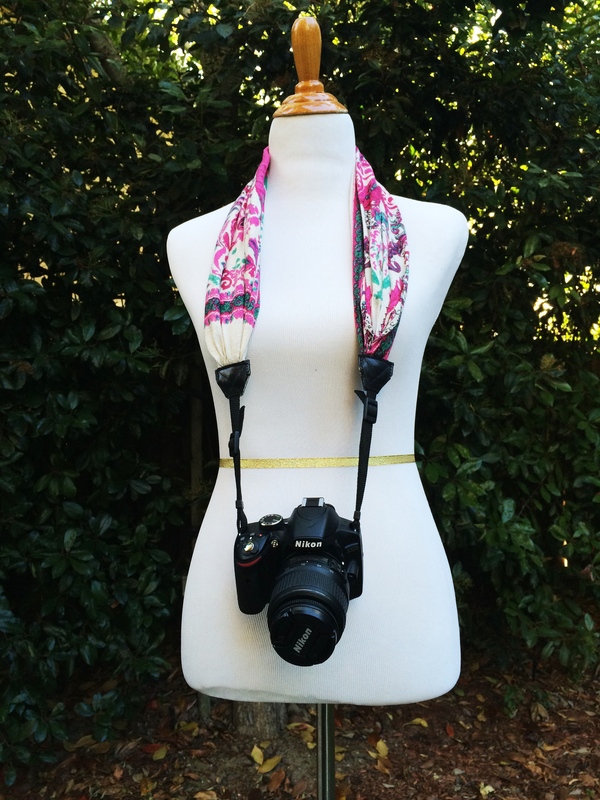 The most beautiful straps I found were scarf straps… made using beautifully printed fabrics meant for light and airy scarves. I just so happen to have a collection of those lying around! I decided on one and then proceeded to deconstruct my Nikon strap in order to re-use the hardware. I also scoured my leather scraps for useful connecting bits. I haven’t been scared of failing a sewing project in a long time, this one was up there on the stress level. I was using a scarf I loved and butchering my only real camera strap. If this didn’t work I was going to have to wait til Christmas to get a replacement! She’s beautiful and comfortable! Oh, and also washable! (sans camera of course). I LOVE IT! Wanna wear it all the time type of love it. I am now on the hunt for inexpensive and beautiful scarves to get a collection going. This scarf strap was my happy project for the month. June is a tough one for us with the birthday of my son being on the 2nd. I am usually “ok” from January til Mothers day…then I become a miserable cow until after my son’s birthday. Happens every year. Ivy knows when those times come around, and wont leave my side. Some days we all need a reminder. This is the best one for me right now. 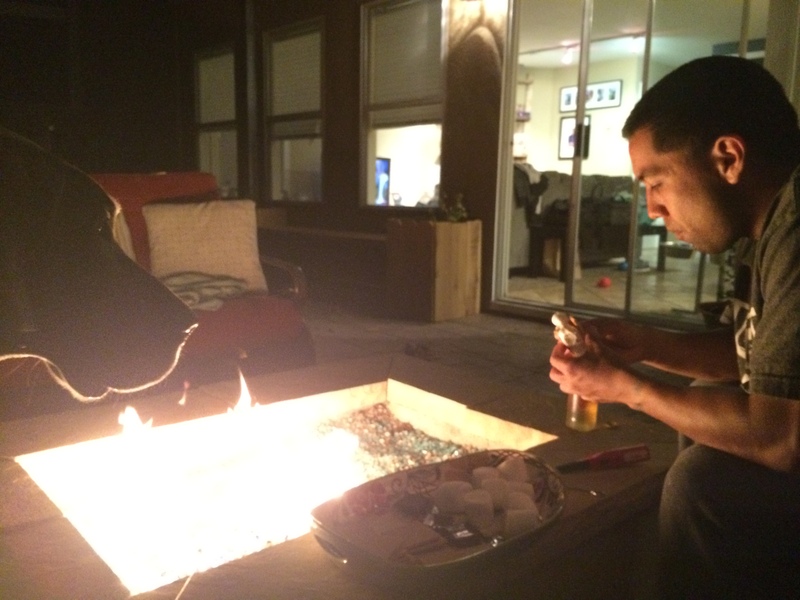 Here we are toasting up some smores after having spent the day with family visiting Chancho at his resting place. 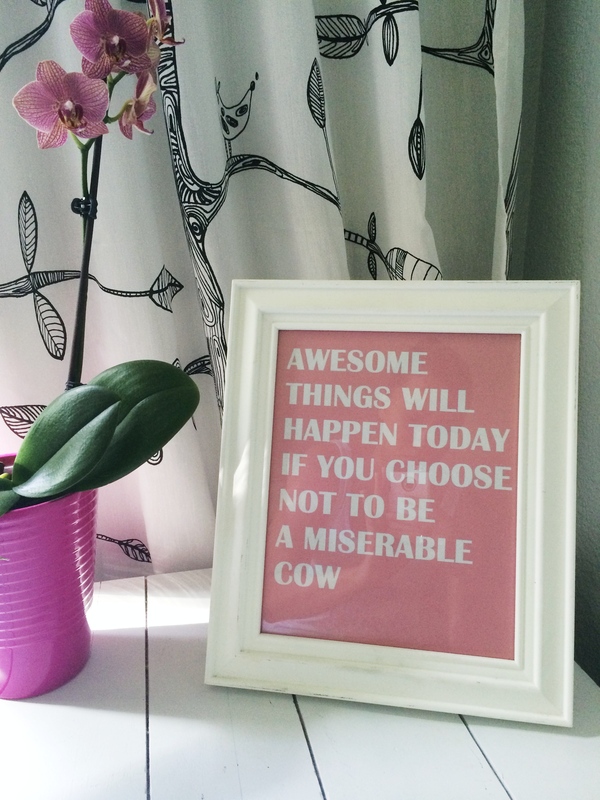 Remember… no one likes a miserable cow. Have some smores instead. Well, that’s a good upgrade to the usual camera strap. Women will definitely love it. The camera strap is beautiful. I am in awe of your strength and courage in dealing with the tragic loss of your son. You truly inspire me.. I know its incredibly late reply, but thank you so very much for your kind words! Hello! I have enjoyed each treasure. Thank you so very much! | Damaged Goods | Finally repainting the shotty paint job on this thrifted table that we damaged during our move a few years ago. We’ve been using it that way every day, because even though it wasn’t perfect it was still useful to us. Not everything or everybody has to be perfect to have value. It’s ok to be damaged, wear the scars proudly, and still have purpose 🙋🏻‍♀️.